A varied selection of events around town in February. Lots going on here even in the depths of Winter! Our traditional feast day with traditions going back hundreds of years, celebrating the consecration of the Parish Church of St Eia in 1434. Monday 5th February - starting at 9.30 am with a procession to Venton Ia Well at Porthmeor. Followed at 10.30 am with the Hurling of the Silver Ball from St Ives Parish Church, various other events, then the Return of the Silver Ball to The Guildhall at 12.00 noon. 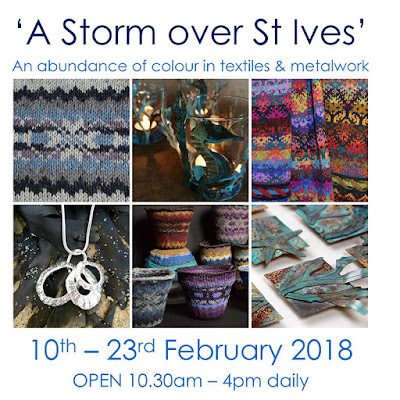 Exhibition - A Storm Over St Ives. Saturday 10th - Friday 23rd February - daily from 10.30 am to 4.00 pm. An opportunity to join this community project which is being run once a month in the Salvation Army Hall. Members of the group are recreating the buildings around the harbour using fabric and stitches. Everything is provided and everyone is welcome whatever their level of sewing skill. Wednesday 21st February - from 10.30 am to 12.30 pm. 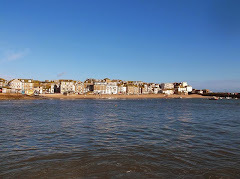 A day of music with with Phoenix Singers St Ives, Culdrose Military Wives, visiting musicians, solo singers and more. Continuing their tradition of keeping things going for both locals and visitors through Winter, not just in the main tourist season. The popular Fun Pub Quiz with Lovely Auntie Liz is on every Monday night at 8.30 pm. A fun pub quiz to raise funds for the Bamaluz Bootleggers. Entry is £2.00 per person, pasties will be on sale on the night. Wednesday 21st February at 7.30 pm. Fresh local produce, made in Cornwall crafts, music and a wonderful cafe. Every Thursday from 9.30 am to 2.00 pm at St Ives Guildhall - all year round. Recently awarded the title of "Best Farmers Market in the South West" by Taste of the West. Get creative with Creative Crafts and Textile Art Workshops. For adults, families and children. Tuesday 20th Feb - 2.00 to 4.00 - Knitting Surgery - whether you would like to learn how to knit or have problems with what the abbreviations mean or need to learn more knitting techniques come along to the knitting surgery to get help. Friday 23rd Feb - 2.00 to 4.00 - Stash Swap - for all you crafty people here is an opportunity to have a clear out of your stash and see what other people have in their stashes which might be more useful to you. 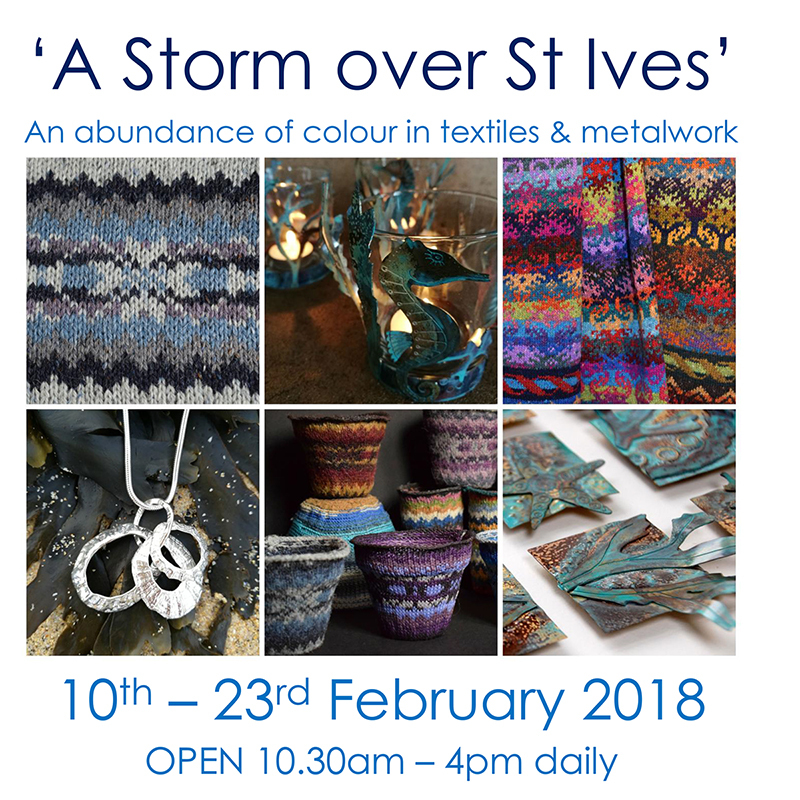 Wednesday 28th Feb - 2.00 to 4.00 - St Ives In Stitches (see details above for Wed 21st Feb).